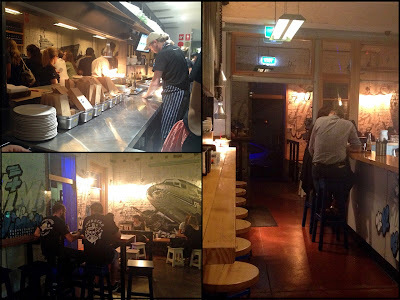 Once a worker’s cottage built in the 1800s and more recently Peter Watson's spice shop, Jimmy Grants is now Masterchef George Calombaris’ cheap eats destination. Along with business partner George Sykiotis, these Jimmy Grants are taking the humble souva to a whole new level. The name has been pinched from the slang term thrust upon European migrants during the ‘50s and ‘60s. 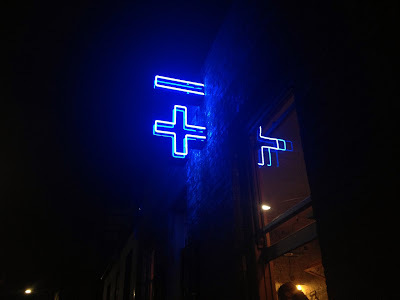 Jimmy Grants is a funny little space. There’s not much room, only 36 seats. Some line the bar and kitchen, others take up the front of the shop, and a couple are wedged outside in a tight outdoor area. The open kitchen takes up most of the room and overlooks a long bar serving Greek beer and other beverages. Blue and white tiles are a nod to typical Greek kitchens, and this one is in the more than capable hands of Hellenic Republic’s Travis Mcauley. A mural of an aeroplane looks over chatty diners from a white brick wall. Excluding drinks, you can order one of everything from the menu for a perfectly reasonable $158.50 (reasonable for your wallet, not for your stomach). The souvas are wrapped in thick, puffy pita charred with flavour from the stone oven on which they’re cooked. The Patris was my favourite: crunchy battered prawns, with attiki honey, mayo, cucumber, mint, and coriander. 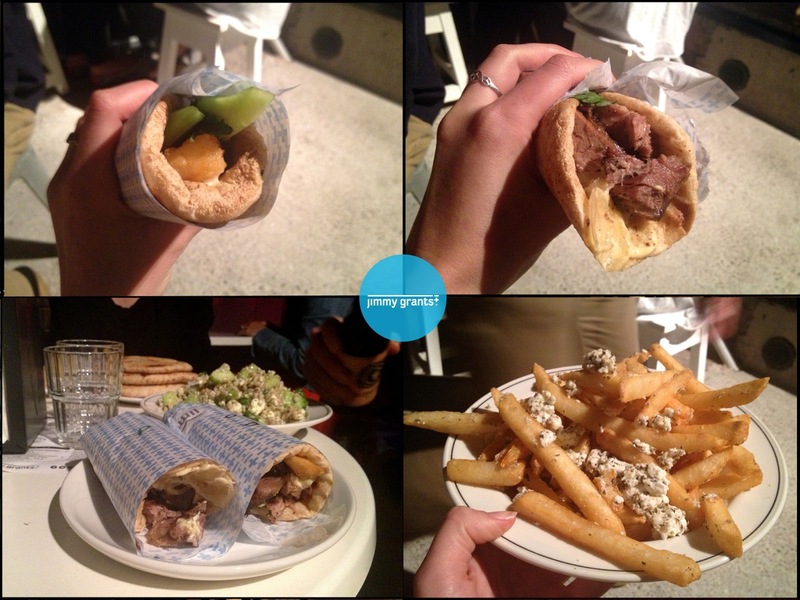 We also tried the Mr Papadopoulos with fatty chunks of lamb, mustard aioli, a few chips, onion and parsley. Also on the souva menu are the Nonna Maria (chicken), The Bonegilla (chicken and lamb), Homer (falafels with Greek yoghurt and Hellenic slaw) and a mini Kalamata Kid with chicken. For those who don't want their meal all wrapped up, order 200 grams of slow roast lamb shoulder or free range chicken off the spit, both served with tatziki and pita bread. At $16 and $15 respectively, they’re the most ‘expensive’ dishes here. Souvas aside, the steamed Jimmy Dimmies are some of the best dim sims I've tried. The juicy parcels of chicken, capers, lemon zest and cabbage are wrapped in a thin skin and dunked in soy. Dips such as tzatziki, taramosalata and hummus also make an appearance. While the chips are initially exciting – all sprinkled in garlic oil, flavoured with oregano and crumbled with feta – they fall flat as fries go. For the health conscious, Hellenic Republic’s grain salad graces the menu alongside three others. I recommend trying the village salad with cucumber, pearl barley, oregano, mint, coriander and a generous amount of soft, creamy feta. Once you’re done, take a walk down "sweet street" on the menu. Mars Bars and Snickers could only dream of living up to the chocolate fudge bar – decadent, rich and studded with nuts – made by Darren Purchese of Sweet Studio. 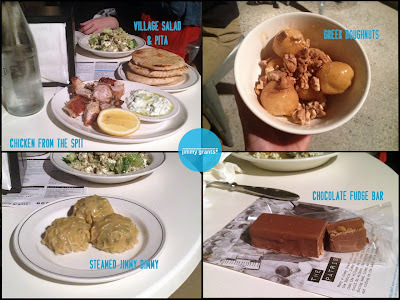 A generous serve of six crunchy-on-the-outside-spongy-on-the-inside Greek doughnuts are not to be missed at $6, dotted with walnuts, dripping in honey and spiced with cinnamon. I'll be back to try the Darren’s wagon wheel and Greek honey, yoghurt and white chocolate choc tops. The major flaw in Jimmy Grants is its opening hours. Surely it’s sacrilegious to only keep a souva joint open until 10pm. What about all the poor, drunken hipsters hanging out for a feed at 2am? Also on the cons list is the size of the souvas, hilariously described in the Facebook comment below. But at around $8 a pop, it’s hard to complain. The location-based website suggests Jimmy Grants is going to be opening up all over town. Two locations have been confirmed in the CBD and Ormond. Until then, their fast-approaching delivery service is also something to look forward to. 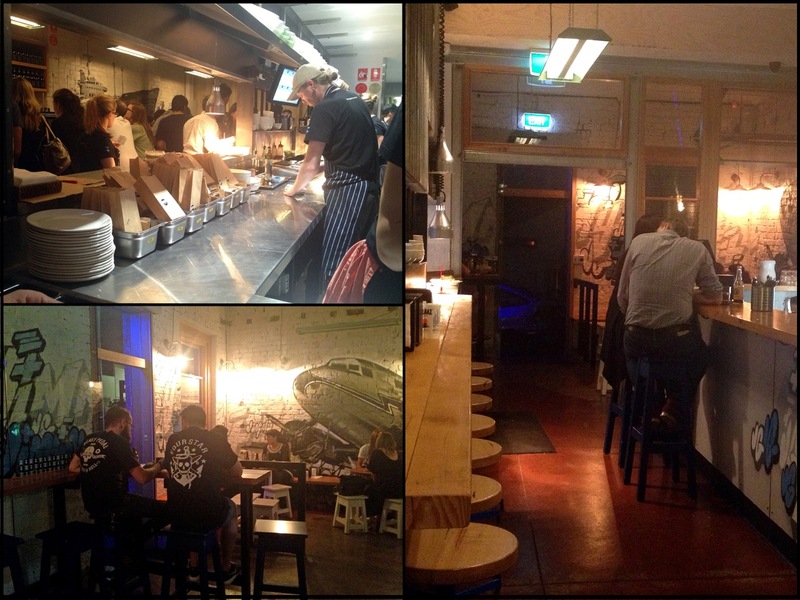 Assuming they keep up the standard all over Melbourne, Jimmy Grants is welcome in my town anytime. I have seen and heard so much about Jimmy Grantz :) I'm really going to have to visit soon! Was a big fan! I popped in with my brother one night and we were very full from a souva each and sharing a grain salad and taramosalata with some pitas (how awesome is the bread!) Souva was a standout. Will have to try the dimmy's next time. Saved a bit of room for the doughnuts, saaahhhhh good! Thanks Tim! that taramasalata looked amazing, saw it at the table next to us but couldn't convince my super full dining buddies to go another round... always next time! :) Glad you enjoyed it too.